The trends from the beauty industry are in: matte skin is out, and dewy skin is absolutely in. 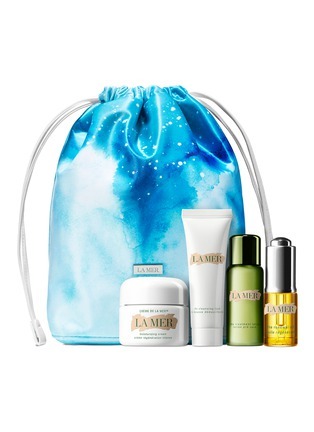 Achieve a covetable glow with La Mer's The Radiant Collection, a 4-piece set — housed in a star-speckled cosmetic bag — designed to brighten, hydrate, and boost the skin's radiance on-the-go. Crafted for the uninitiated, this collection will be a wonderful gift for the friends who've always wanted to experience the brand's top performers.